Building on the success of the Translation Research Summer Schools, run by the University of Manchester, the University of Edinburgh and University College London, ARTIS (Advancing Research in Translation and Interpreting Studies) is an international network which supports the training requirements of doctoral students, postdoctoral and early career researchers in translation and interpreting studies, as well as supporting both junior and experienced teaching staff who wish to develop or refresh their research skills. We are pleased to announce a training event on corpora, ARTIS@Cologne, which will take place at the Institute of Translation and Multilingual Communication, Cologne University of Applied Sciences (TH Köln), on 26 October 2017. Speakers and workshop leaders at this event are research pioneers and leaders in their field with input from researchers at Cologne flanked by presentations from Dr. Henry Jones (The University of Manchester) and Dr. Mario Bisiada (Universitat Pompeu Fabra) on interrogation of corpus data collected for specific research projects [interpreter-mediated parliamentary discourse (Professor Morven Beaton-Thome), specialised translation (Professor Monika Krein-Kühle), ‘Genealogies Of Knowledge: Towards a Corpus-Based Analysis Of Classical Retranslations In Nineteenth-Century Britain’ (Dr. Henry Jones), drafting and editing processes (Dr Mario Bisiada)]. These presentations are designed to provide robust examples of how corpus-based methodologies have been implemented to answer diverse research questions. The training event concludes with a hands-on workshop session focusing on the methodological issues involved in collating and analysing corpus data in translation (Professor Silvia Hansen-Schirra). ‘Genealogies Of Knowledge: Towards a Corpus-Based Analysis Of Classical Retranslations In Nineteenth-Century Britain‘ (Dr. Henry Jones, The University of Manchester). Cologne has a strong profile in the collation and analysis of corpus data. Research expertise ranges from the analysis of video and audio data of interpreted discourse (Professor Morven Beaton-Thome), to contrastive corpus linguistics (Professor Christiane Brand), to corpora use in specialised translation (Professor Monika Krein-Kühle) and translator training (Professor Ralph Krüger). 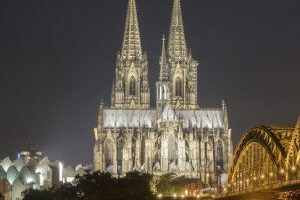 Cologne is also home to the Cologne Specialised Translation Corpus (CSTC) and hosted a successful online training event for IATIS in 2015 on corpora and tools in translator training (see http://bit.ly/2wERApt for further details). This ARTIS event builds on this expertise in research and training to provide a tailor-made session for PhD students, post-docs and early career researchers who are either considering or currently undertaking research projects using corpus methodologies. Cologne is also centrally located in continental Europe and is easily accessible by all modes of transport.